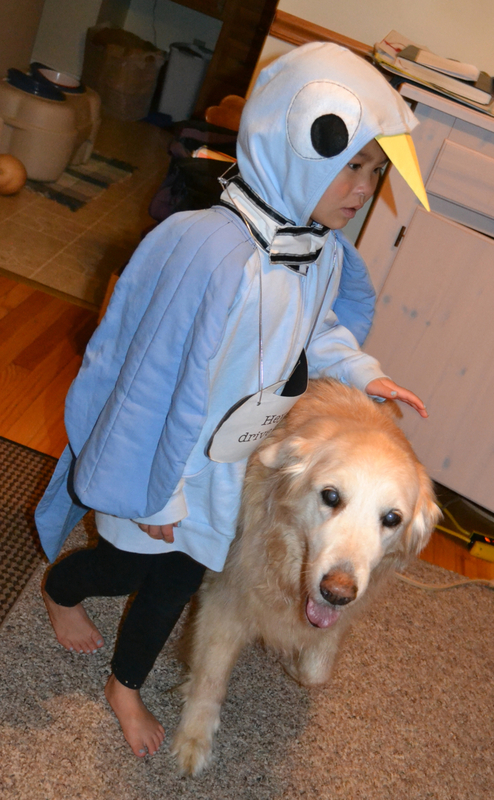 The pigeon has several stages… Happy Halloween! 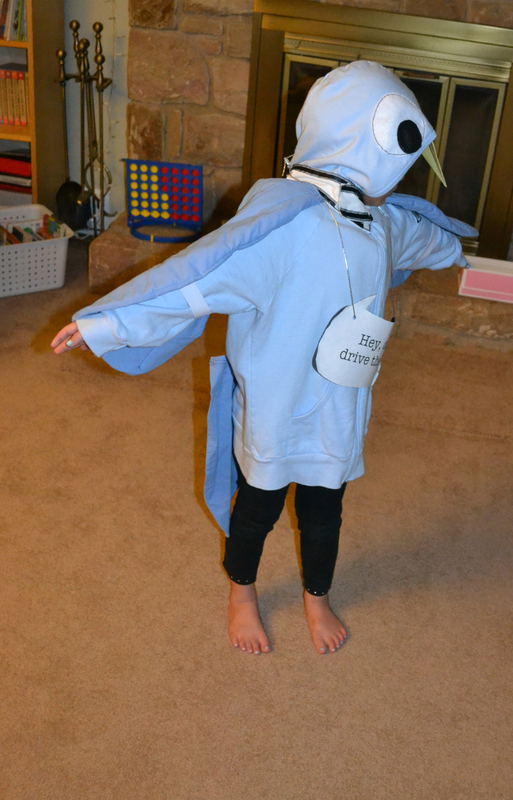 Kajsa wanted to be the pigeon this year for Halloween–that is, “the” pigeon of Mo Willems’ books, namely, Don’t Let the Pigeon Drive the Bus. She loves the Willems books. And the pigeon. As do I. They’re quite fun. 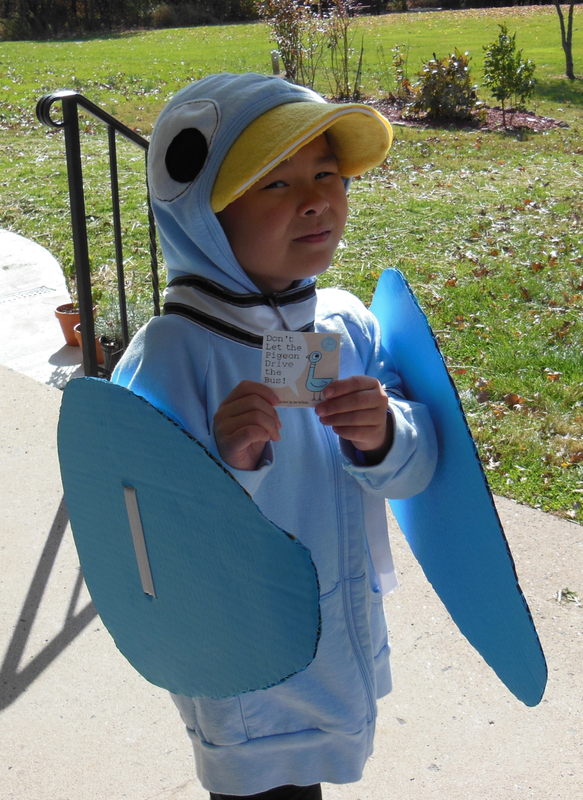 Our little pigeon had three stages, thanks to three opportunities to wear the costume–Chinese school, Elementary School parade, and trick-or-treating tonight. Whatever the stage, it was a fun Halloween! Pigeon #2, fabric wings. 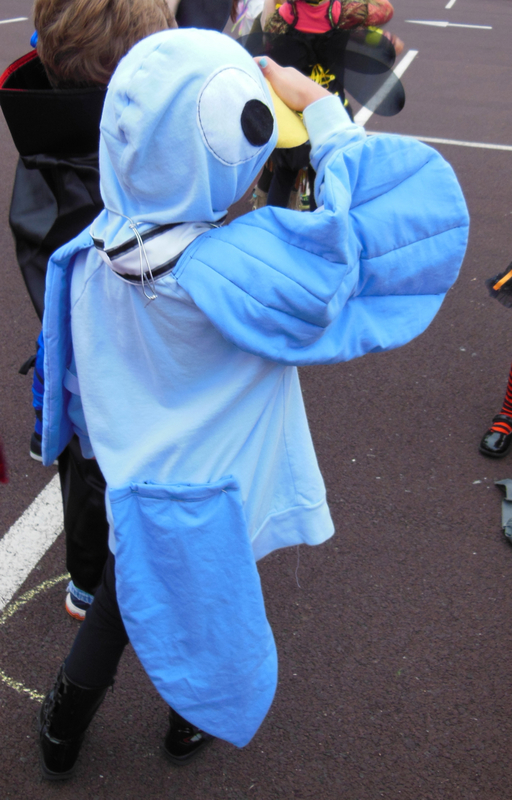 School parade. More Mall-Trick-or-Treating pictures…. this time with Kajsa’s friends. I loved this… the 3 girls holding hands, walking by the stores..
Merry Halloween! Trick-or-treating, and yes, Christmas decor is out in many mall stores. we’ve had advance notice that Halloween this year might not be the most fun evening. It still might be. But, IF it’s as bad as some are predicting, chances are pretty good that we’ll have no power, that trees will be down, that trick-or-treating might not be happening. Thankfully my friend Bethanne pays more attention to these things than I do because she suggested we go trick-or-treating at the mall this past Saturday afternoon, just in case the girls (Kajsa and her two friends) couldn’t go trick-or-treating this Wednesday. So we did. We met at the mall, and Kajsa got to wear her “Doc McStuffins” costume, and the other girls were dressed beautifully in their “Tangled” costumes. In case you don’t have a 4-6 year old at home, or around you much, and aren’t sure who in the world “Doc McStuffins” is… click here to see her on Disney Jr. But, at least, if we’re running out of food this week, we have a candy stash! Doc McStuffins–she even has her “Big Book of Boo Boos” that Kajsa and I worked hard on! Doc McStuffins, with her headband on..